This week we discuss Bruce Lee’s affirmations. These are 7 ideas he wrote on small note cards and carried with him always: Memory, Subconscious Mind, Imagination, Reason, Emotion, Conscience and Will Power. These 7 ideas are part of a whole system of well being and self-cultivation Bruce developed. And they work together as a harmonious ecosystem. Today we discuss the first three ideas: Memory, Subconscious Mind, and Imagination. Take Action: Create your own affirmations and write them down on a 3x5 card. They can be your own ideas or quotes you find inspiring. Carry them around with you for a week or a month and read them out loud to yourself each day. This week we want to give a shout out to Jimmy Chin, a professional climber, mountaineer, skier, photographer, and filmmaker. For a long time he was with the Northface team, taking photos and having awe-inspiring adventures. His documentary film Meru follows the harrowing first ascent of the "Shark's Fin" route on Meru Peak in the Indian Himalayas. Jimmy follows his true heart’s mission and we think that’s awesome! I´m a huge fan of bruce lee. Not only the films, I like the philosophy as well. And I´m working as a software developer and I´m doing wing chun since a while. So what happened was that I was reading "Tao of JKD" and working for my job simultaneously. Then I was stunned for a few seconds. 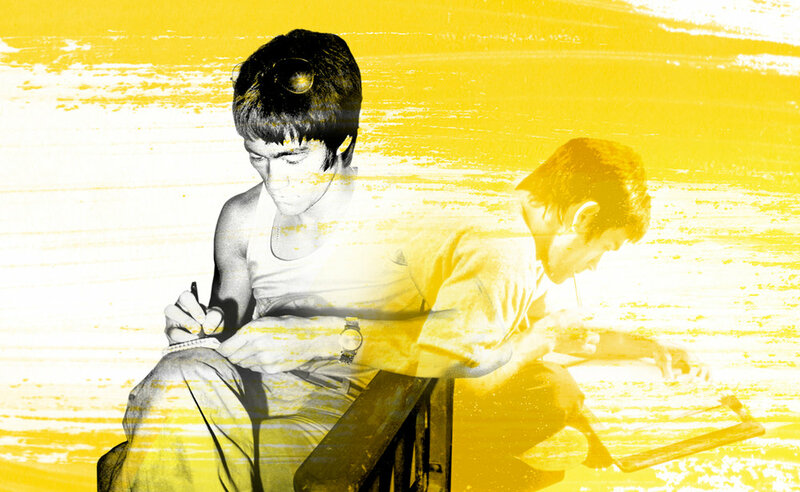 I recognized that JKD and Bruce Lee´s philosophy matched exactly the style of agile software developing. The next days Í was thinking about it. This idea was like a hammer that was banging my head. And few weeks ago I did a presentation about "Was Bruce Lee the first agile coach? And what can we learn about it for our daily business" on a convention for software development. "Be water, my friend", "sophisticated style stripped to it´s essentials", all the wing chun principles, the way he developed his style, "individuals more important than any style." And what can I say... It was great. It was a lot of fun. And it was not easy to teach nerds :) But I had to do it. Every time I was thinking "oh, should I do that" I remembered the words "Expressing yourself honestly".